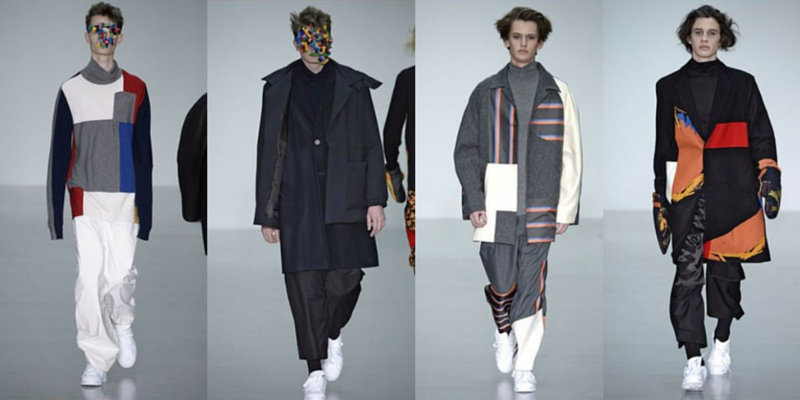 Agi & Sam’s AW15 show is bound to be one of the defining shows of the season. Images of the Isamaya Ffrench-designed lego masks had already started causing a hullabaloo on social media before the show had even finished. Fun fact: Agi designed his first ever collection at the tender age of four. Drawings of “The Coolman Collection” were one of the inspirations behind the playful collection. The duo created a unique deconstructed look by visiting primary schools to talk to children about their favourite clothes before ripping pieces apart and asking children to put them together with Velcro. Coupled with bold primary coloured patches on a monochrome colour palette, the collection was a nostalgic trip down memory lane. The show closed to much applause, kudos Agi & Sam.